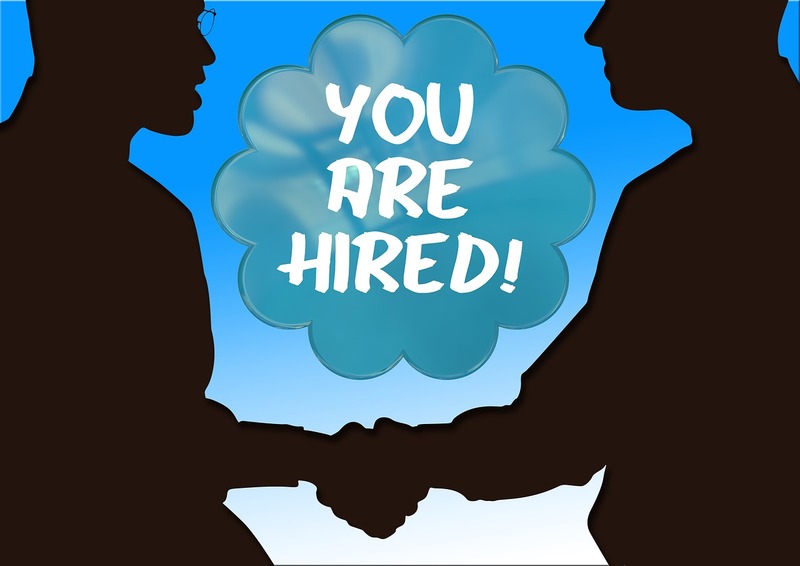 Here’s the ultimate communication skills test for the college student with cerebral palsy (CP) you’re mentoring: getting hired in the real-world job market. Yes, that’s a tough challenge, even for someone without a disability, but, as a mentor, you need to show your soon-to-be job seeker that it’s doable. It may help to put that challenge in terms of a communication skills test – an extension of the preparation your son or daughter has gone through during the last 15 years. Others have gone through that same preparation and have succeeded in making the transition from school to work. “Almost half of all working-age people with disabilities in America today are employed,” writes Elisabeth (Harney) Sanders-Park, president of WorkNet Solutions, Riverside, CA. Despite high unemployment numbers during the worse period of what is now the Great Recession (January 2009), more than four million people got jobs and one million jobs were unfilled in the U.S.
Sanders-Park and MacDougall also wrote “No One Is Unemployable: Creative Solutions for Overcoming Barriers to Employment” (WorkNet Training Services, 1997), a book for career counselors hailed as "Top 10 Career Book of the Year" by the Los Angeles Times. Neither book is about disabilities per se, but they both include sections specifically for job seekers with disabilities which I believe are effective foundations for a communication skills test. I first became acquainted with Sanders-Park’s “No One Is Unemployable” book as a Global Career Development Facilitator (GCDF) student in 2005 and met her at the 2011 Careers Conference, Center on Education and Work, University of Wisconsin-Madison, where she was a presenter. Here are my disability-slanted “takeaways” from her 2011 Careers Conference presentation and “The 6 Reasons Why You’ll Get the Job,” which she co-authored. Clarify the job target by pinpointing the available opportunities. Prove you can do the job by showcasing your attributes, skills and values. Avoid getting screened out and make it to the second interview by using keywords throughout the hiring process that show a good match between qualifications and the employer’s stated needs. Get in front of the people who have the hiring authority by using networking strategies (either in person or through social media) that will tap the hidden (unpublished) job market. To tap the hidden job market, today’s job seeker does not need to be involved over the whole range of social media that are available in the current online environment. A more effective networking strategy may be to select one medium that best meets one’s needs, hone a personal profile on that medium and then ride with it, learning the “ins” and “outs” of that particular community. That’s a communication skills test in itself. As a job seeker, I’ve found that LinkedIn or Twitter (or a combination of the two, using Twitter to search for open jobs and using LinkedIn to build relationships with individuals working in targeted companies) can be the best avenues. But, let’s look at point number 3 (above) more closely. As a job seeker with CP, your son or daughter can easily be screened out early on in the hiring process either automatically by a computer program or by someone on staff who is not the final decision maker. In other words, a prospective employer must have some reason to reduce her or her initial perceived risk in hiring your son or daughter with CP. That’s another side of the communication skills test your soon-to-be job seeker faces. Target jobs you are fully qualified to do with your particular disability. Structure your job search so employers see your value before they notice your disability. Decide whether and how to disclose your disability. Avoid words and imagery that could intensify employer concerns. For instance, I use “some difficulty in muscle control” instead of “cerebral palsy or CP” in describing my unusual condition, since “cerebral palsy” can conjure up images about me that can go way beyond reality. Reduce your prospective employer’s perceived risk by presenting solutions for “resources that will help me be more productive” (more preferable, Sanders-Park writes, than “accommodations”) so the employer can refocus on your abilities. But, that’s only part of the process of getting hired (and, again, only part of the communication skills test your college student will likely face as a job seeker). - Do you look, sound and act like the employer? - Will you represent the employer in a positive way? - Do you fit the company culture? - What’s your outlook on work? - Do you show flexibility and respect others? - Will you work for the company’s best interests? - Will you be loyal to the company? - Will you help the company achieve its goals and carry out its mission? - Are you demonstrating that you’ll mirror the company’s values? - How well will you apply your abilities to the job at hand? - Can you learn and adopt? - Can you produce results quickly? - Do you have access to key people who will benefit the company? - Will your online contacts reflect positively on the company? The candidate who is hired for a particular job usually stands out in all six areas, Sanders-Park maintains -- and (this is especially important for your college student with CP) those six areas need to outweigh any perceived risks the employer may have about hiring a person with disability. Tell a story that is not more than 60 seconds long which shows you acting positively in a work situation. Your story needs to demonstrate that you have the attributes the employer values. Your story should include numbers or percentages to quantify your accomplishment. In other words, show what the employer will specifically gain by selecting you for the job. Sanders-Park even suggests that your student start networking with someone in the targeted company’s HR department or a present employee via LinkedIn or by telephone to further clarify what the employer values in an employee. “You’re then in a position to show and tell about how you match those needed skills throughout the hiring process,” she notes, highlighting the importance of company research as a part of this communication skills test. In fact, I view all of these tips as parts of an overall job marketing template for your soon-to-be job seeker – one that is basically a communication skills test of what he or she has learned through years of preparing for the transition from school to work.